We’ve been overwhelmed by the generosity of people over the past few weeks. 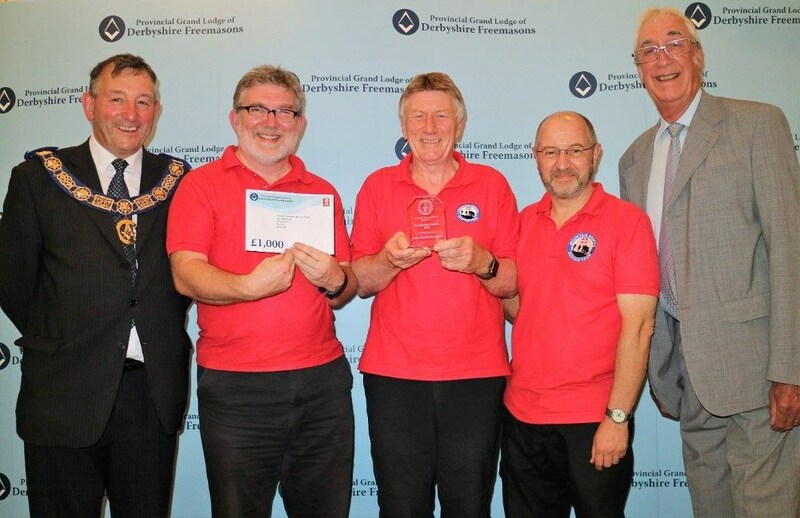 Pictured here, some of our team accepted a cheque from the Provincial Grand Lodge of Derbyshire Freemasons at their Community Awards Ceremony last week. Buxton Mountain Rescue Team was just one of nearly 20 local charities gratefully being acknowledged by the Freemasons. We are most grateful for the support of the Pheonix Lodge of St Ann who proposed the team for the award and who have also made a separate donation from the lodge charity fund. These funds and several other significant anonymous donations will go to help cover the costs of our £33,000 Communications Equipment Upgrade project which is looming. And your generosity doesn’t end there; we continue to receive funds towards our Drone project, including several other significant anonymous donations. This project is now really off to a flying start with the training equipment purchased and would-be pilots undergoing specialist training and assessment whenever other commitments allow. We continue to identify other essential projects to plan for over the coming months and years, including replacing all our safety helmets, an IT update and of course, in time, our vehicles will be ready to be replaced. We always value every donation, large or small, and you can be assured that it will put to good use. None of the team receives payment and 100% of your donations go to support the operation of the team. You can always make a donation via our Website or contact the treasurer if you’d prefer to support us in an other way.